After a small BBQ/World Cup party, we noticed some movement behind our grill. 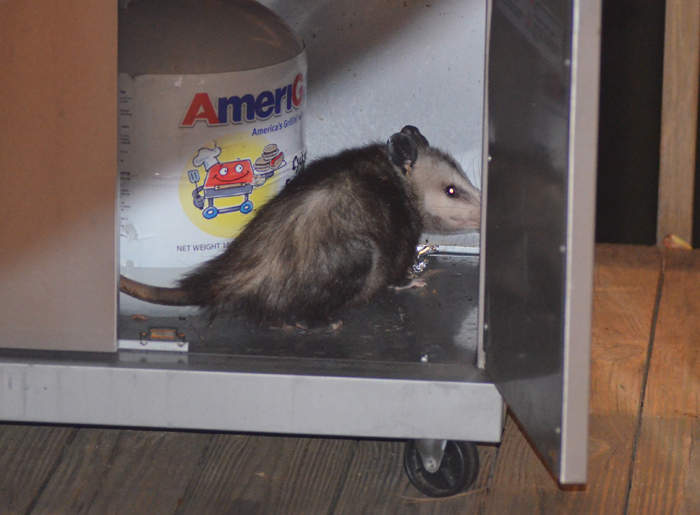 It was this opossum that must have been attracted by the good smells. It didn't look too happy, when my wife opened the door and everyone looked at it. 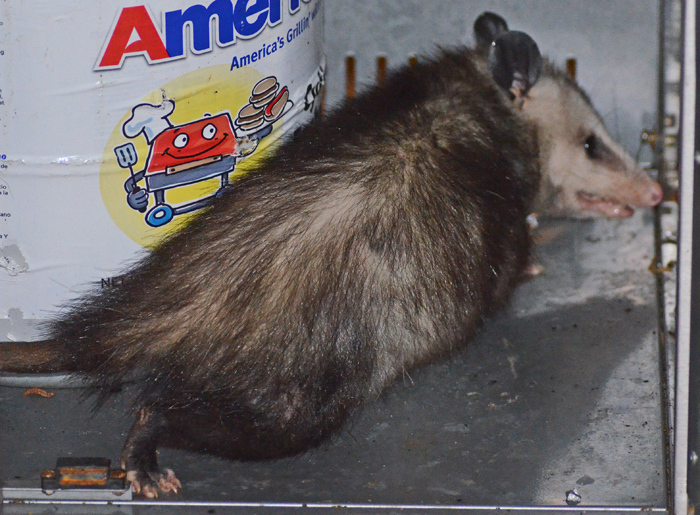 I think that I enjoyed seeing the opossum even more than the final score of the Italy vs. England match (2:1).